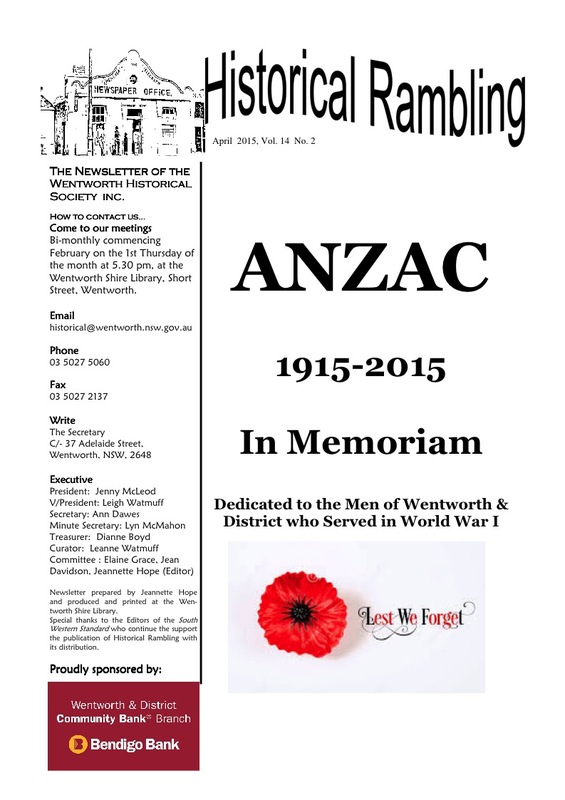 WHS (Wentworth Historical Society) is located within the Wentworth Library on the corner of Short and Murray Streets, Wentworth. We are open Monday, Wednesday, Thursday and Friday 10.30am – 5.30pm and on Saturday 10am – 12pm. Please note we are closed on Tuesday and Sunday. 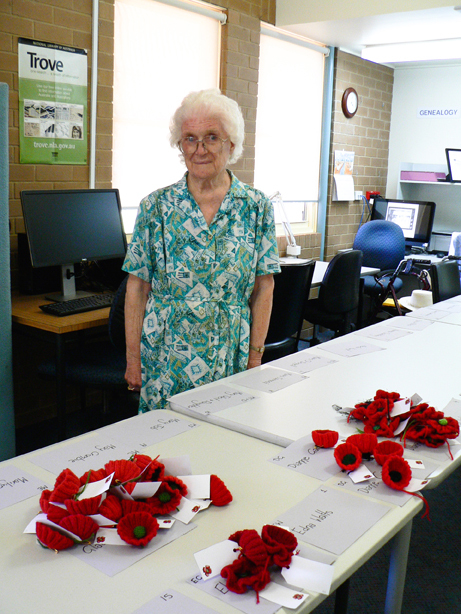 Glad Ford with some of the poppies she made. 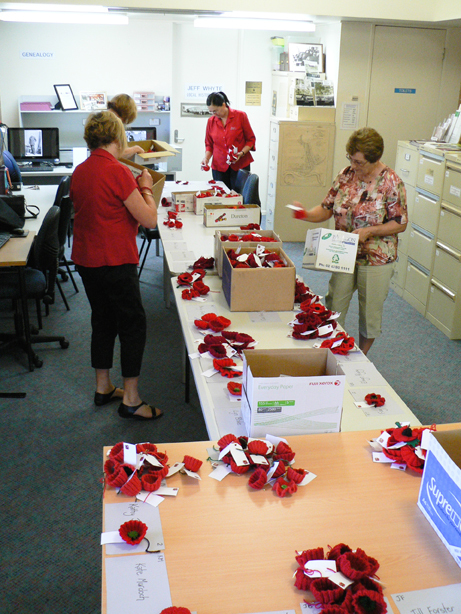 Sorting poppies before sending to Melbourne. 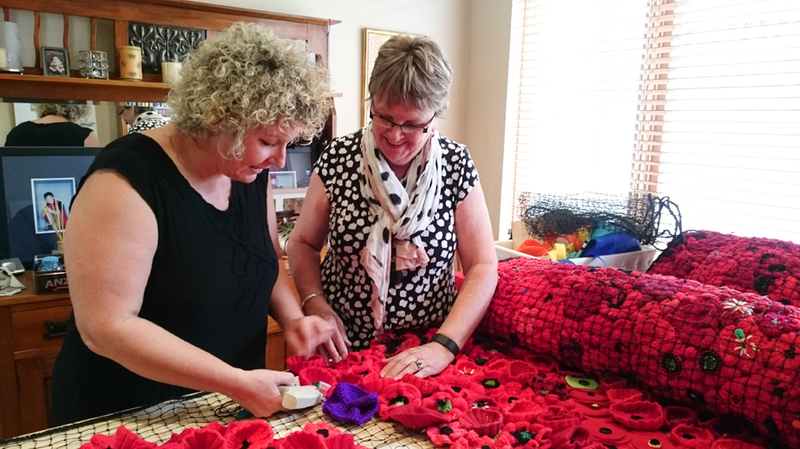 Lynn Berry showing Leanne Watmuff how to attach poppies.